Unique. 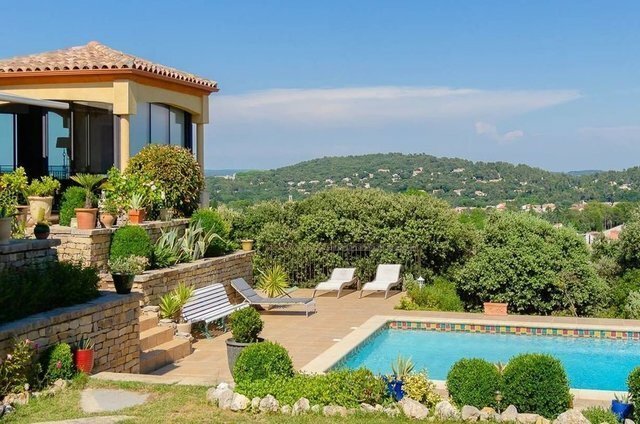 A beautiful 240 sqm villa located in the heart of the most sought-after area of ​​Montpellier, enjoying an incredible panoramic view, on a 1500 sqm plot. Ground floor : Entrance hall, master suite with bathroom, independent toilet, living room with fireplace, dining room, vast reception, kitchen with storage, all overlooking a large loggia with bay windows. 1st floor : An office, 2 bedrooms, independent toilet, bathroom, and a big dressing. In the basement : A parental suite with private terrace, equipped kitchen, buanderie, wine cellar. Outdoor : Large terrace, garage for 2 cars.